Want more engaged teachers, staff? Give them a voice. One of the greatest challenges facing school districts is employee retention. All one has to do is look at current teacher shortages in places like Arizona, North Carolina, and Hawaii and the problem is obvious. A recent report from the U.S. Department of Education identifies teacher shortage areas in all 50 states. This constant struggle to stem teacher attrition and boost retention is extremely expensive. Districts lose more than $2 billion to teacher attrition every year, according to some estimates. With teacher attrition on the rise, it’s increasingly critical for school leaders to clearly understand how engaged employees, including teachers and staff, are in their work. Evidence tells us that highly engaged employees contribute more than is expected of them and are champions of their work, their profession, and the success of their schools. Strong employee engagement can have a direct impact on student success, according to recent research from Gallup. 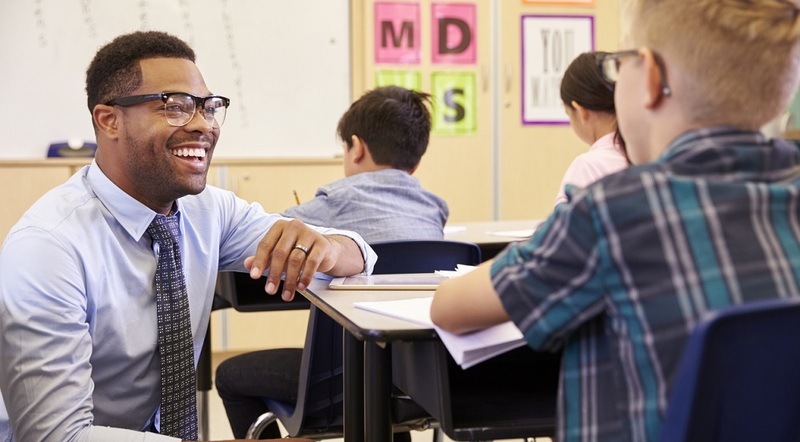 “Gallup research suggests that engaged teachers inspire engagement in their students,” write researchers Valerie J. Calderon and Nate Dvorak. Want more on prioritizing employee engagement? Sign up for the TrustED newsletter. So, what steps can your school or district take to ensure more engaged faculty and staff? Giving employees a strong voice is critical. Richard Ingersoll is a University of Pennsylvania professor who has been working for years to solve the puzzle of teacher attrition. According to Ingersoll, teachers often leave their schools—or the teaching profession altogether—because they feel they have no voice in the decisions made by school leadership. Ensuring that teachers and staff have an authentic way to provide feedback is vital to their feeling of autonomy and investment in your school’s success. Feedback, Gallup’s Calderon and Dvorak write, is a “compass” school leaders can use to ensure a positive school climate for teachers and students. Our own research also shows a need for stronger employee voice in schools. During the 2015-2016 school year, the K12 Insight research team (K12 Insight produces TrustED) conducted our first Employee Engagement Benchmarking study. By listening to teachers, bus drivers, cafeteria staff, principals, and administrators in districts, both large and small, throughout the United states, we aimed to help school and district leaders discover new ways to support and retain their most valued resource—their staff. Among our findings, we found that smaller school districts had higher percentages of engaged and highly engaged staff than larger districts. Our research also found that questions about how districts conducted feedback and recognition received the lowest percentage of favorable responses among participating school employees, showing that districts still have a lot of work to do to not only invite staff feedback, but also to provide feedback and acknowledgement to their employees. If you’re interested in learning more about this research, download the full Employee Engagement Benchmarking Study here. Or, see some other important findings from the study in the infographic below. It is critical that our schools continue to invest in staff, cultivate highly engaged employees, and offer healthy work environments. Highly engaged employees contribute to higher overall student achievement, and are more collaborative and invested in their careers, which translates to a better quality school experience for students and families. That starts with giving all employees a strong voice in the decisions that affect their work and their students. How do you prioritize employee engagement in your schools? How is your school or district encouraging a strong voice for teachers and staff? Tell us in the comments. Dr. Stephan Knobloch was formerly chief learning officer at K12 Insight. How to Engage Transportation Workers | gThankYou!